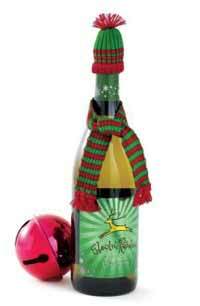 Shop these items and enjoy 50% off regular retail price for a limited time only! 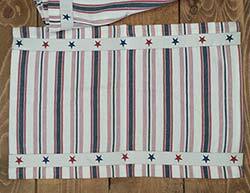 American Stripe Placemat, by Victorian Heart. White with red and blue stripes, and stitched star-accented ribbon trimming. 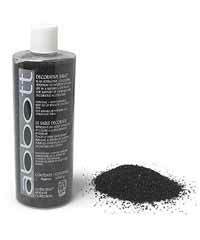 100% cotton, machine washable (see label for care instructions). 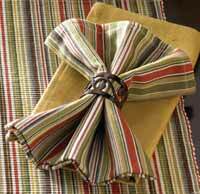 Beau Monde Napkin, by Park Designs. The Beau Monde Collection features multi-colored striping in cream, mustard, chocolate, maroon red, and bits of sap green and turquoise. This is for the Napkin. Measures 18 x 18 inches. 100% cotton. 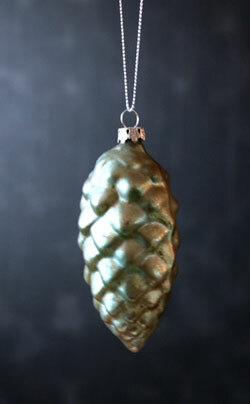 Other collection items also available! Eggplant Essentials Placemat, by Split P. The Essentials Collection is a line of solids made with a woven cotton fabric with a lightly ribbed texture, and hemmed around all sides. 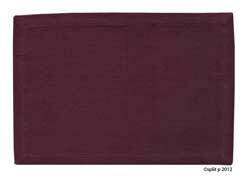 This is for the Placemat in the Eggplant color, which is a deep and rich plum color. Measures 13 x 19 inches. 100% cotton. Machine washable. Matching items also available, plus it coordinates beautifully with Plum Flora and Mirabelle! Split P is a division of Park Designs. Got Coffee Mug, by Ganz. 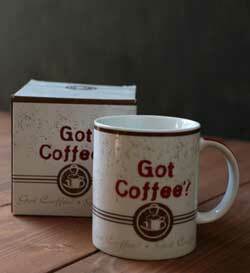 Porcelain mug featuring a coffeehouse design, and reads "Got coffee?" 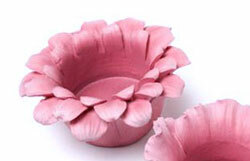 Measures 4.75 x 3 inches in diameter, and 4 inches tall. Dishwasher safe. Microwave safe (will get hot in microwave). Heart Window Decals, by Tag. 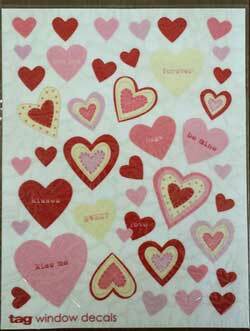 Assorted plastic decals in sweet little heart designs! 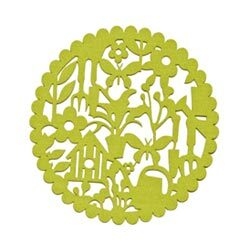 Removable and reusable - use them on windows, the fridge, candles, glass or ceramic pitchers, mugs, or vases...the options are endless! Printed w/lead-free ink. 8 x 11 inches sheet holds decals in place. Store on original backing to preserve cling. Clean surface before adhering. Dimensions vary per decal. 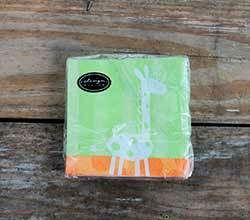 Features a pastel green and orange color palette, with a giraffe image on one side, and an elephant on the other. Love Mug, by Ganz. 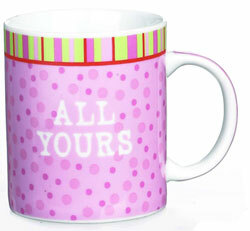 Part of a collection of three sweet porcelain mugs, this one reads: All Yours. 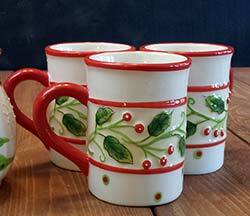 12 oz capacity, measures 4.75 inches high. Microwave and dishwasher safe. Love Mug, by Ganz. 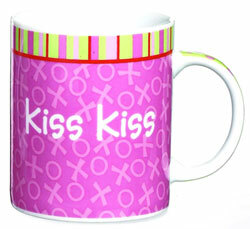 Part of a collection of three sweet porcelain mugs, this one reads: Kiss Kiss. 12 oz capacity, measures 4.75 inches high. Microwave and dishwasher safe. 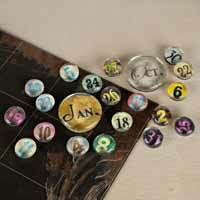 Month/Day Magnet Set, by Lone Elm Studios. Designed to go with the Lone Elms Studios perpetual calendars! Includes 43 magnets in months and days. Calendars and magnet sets also available! 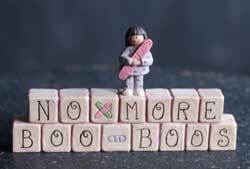 No More Boo Boos Blocks, by Blossom Bucket. 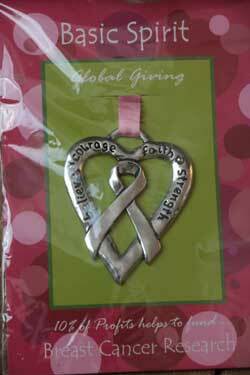 Thoughtful gift for that special caregiver in your life! A Suzi Skoglund design. Measures about 4.75 x 2.5. Resin. The Tobacco Cloth Collection is inspired by historically accurate samples - Traditionally, it was used to cover the tobacco plant, creating partial shade and humidity. Its gauzy construction is similar to cheesecloth, has frayed edges, and is available in 5 colors. 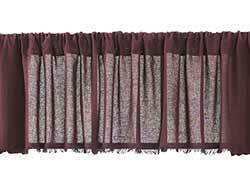 This is for the Merlot Tobacco Cloth Valance, in the 16 x 90 inch size..